The Indian telecom industry is growing by leaps and bounds as it has posted another month of growth with the addition of over 5.68 million mobile subscribers during March 2017. According to the data released by COAI, the association of mobile operators in the country, the overall mobile phone subscribers number has reached 895.258 million by the end of last month, i.e., March 2017. The said number also includes subscribers from Reliance Jio Infocomm. Ltd. as of December 2016 (Source: TRAI). 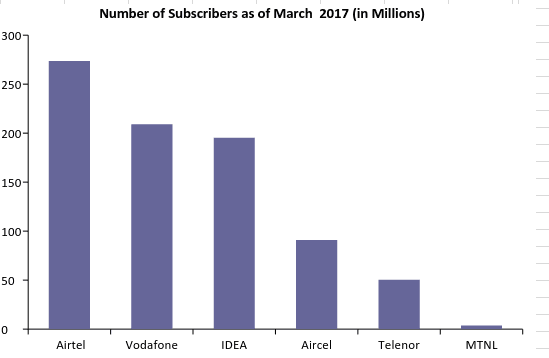 If the Jio subscribers were to be excluded from the total subscriber base, the Indian mobile subscriber’s number has reached 823.10 million as of March 2017. Further, COAI reveals that in March 2017 alone, the subscriber base has witnessed a net increase of 5.68 million. When it comes to telecom operators, Bharti Airtel once again added the maximum number of subscribers for the month at 3.00 million which pushes its total subscriber base to 273.65 million subscribers. Next to Airtel was Vodafone with 209.06 million subscribers, followed by Idea Cellular with 195.37 million subscribers and Reliance Jio with 72.158 million subscribers. With 33.25% Bharti Airtel continues to own the maximum market share in the industry. The report had also revealed the circles in which the growth of mobile subscribers was maximum in India. 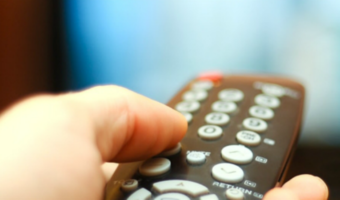 According to COAI, UP East added the highest number of subscribers (total 75.10 million) in March. It was followed by Maharashtra with 70.63 million mobile subscribers and Bihar coming close third with 70.03 million subscribers. On the other hand, West Bengal and Andaman & Nicobar Islands lead in the number of new additions with 0.86 million new subscribers in the month. “It is heartening to see the increase of subscribers in Andaman & Nicobar Islands, which is far from the mainland. This increase is inspiring us to develop mobile infrastructure in these regions. Connecting citizens translate into empowering citizens, as the mobile is a great instrument for new opportunities. We strive towards an enabled society where every individual is connected and has the opportunity to partake in the economic growth of the country. The industry however is undergoing extreme financial stress and submits that requisite intersections are made at the policy regulatory front for a stable, facilitative long term ecosystem which is conducive for investments, Digital India, Skill India and Make in India,” he added. Guys where are DoCoMo in this?